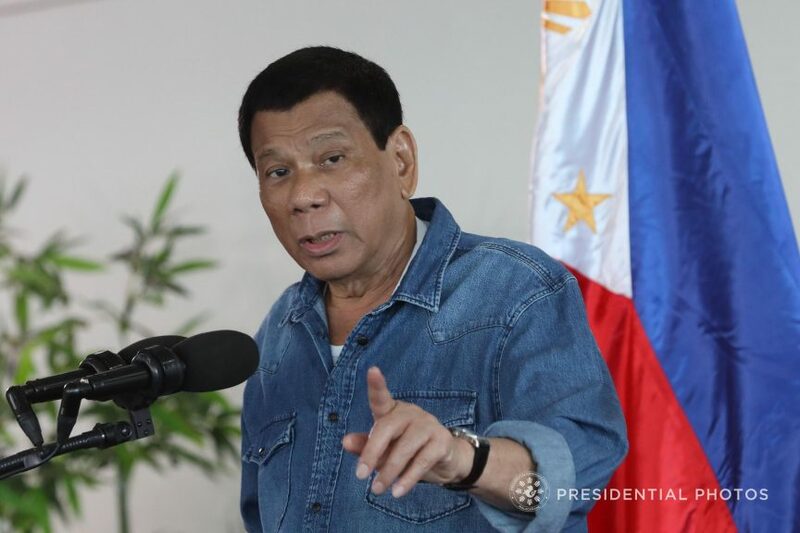 DAVAO CITY (MindaNews / 10 April) – President Rodrigo R. Duterte will encourage Chinese business leaders to “transform investment plans into concrete projects” in his third visit to China since 2016, and reiterated his commitment to increase investments in infrastructure, innovation and interconnectivity in the Philippines. In his speech at the Davao International Airport before leaving for his three-day working visit in China from April 9 to 12, Duterte said he will advance the country’s interest in trade expansion and investments promotion during the Boao Forum for Asia in Hainan Province. The President emphasized the need to broaden and deepen the country’s engagement and cooperation with other countries in Asia because “the Philippines’ destiny is in Asia,” which is expected to account for more than half of the gross regional product of the world by 2050. “If we seek development to make the lives of our people more comfortable, we must harness the potential for shared growth in our region,” he said. Duterte will hold a bilateral meeting with President Xi Jinping on April 10 to discuss Philippines-China relations and review the progress in efforts to ensure prosperity for both nations and the region. “Make no mistake: there can be no progress without stability and security in Asia’s lands and waters,” Duterte said, adding they will try to resolve through collective security threats of transnational crime, terrorism and violent extremism, and unresolved disputes. The Philippines and China have conflicting territorial claims in the West Philippine Sea. During the Aquino III administration the country filed a case before the International Arbitral Tribunal asserting Philippine sovereignty in the contested area. The tribunal decided in favor of the Philippines but China has refused to recognized the ruling. Signing of business and bilateral agreements will take place during the forum, as Duterte disclosed China’s commitment to send more help for the rebuilding of Marawi. “As I have said, our destiny lies in Asia. It does not lie in the Middle East interest. They are too far away, too busy fighting the war and some of them have no money. If you are—if you don’t have money, you are not friend. I go to China, (there’s) plenty of money. That’s the truth. I need money to—anyway, I just simply love Xi Jinping. He understood, he understands my problem and he is willing to help,” he said. “My dream is a comfortable life for every Filipino. My mandate is to secure the interests of our nation and people. My solemn oath is to spare no effort to make these happen as I engage other nations,” he said.